Gift giving is an art. At this point on the calendar your probably up to your eyeballs in the Christmas gift giving dilemma. All of us struggle with finding the perfect gift for someone we love. You can spend a lot of time and money trying to find the perfect gift and miss the mark completely. Maybe you can remember an experience like this: You spent weeks trying to get the perfect gift for a friend or family member. 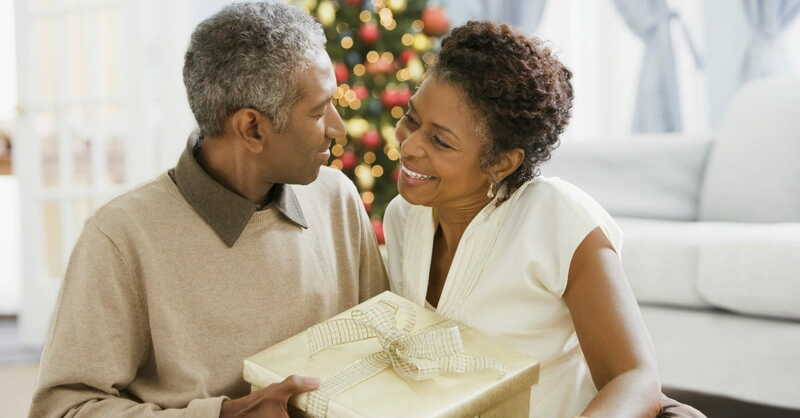 After racking your brain to try to figure out what he or she would love, you put some real money down to purchase a gift and wrap it to perfection. You’ve probably had the crushing disappointment of watching that person open the ideal gift, only to realize that it didn’t get them as excited as you had hoped. All of us mess up from time to time. This means all of us need forgiveness, and forgiveness is a gift by the person who has been hurt. You need forgiveness. I need forgiveness. -because we all hurt people from time to time. The problem is that we can’t demand that people forgive us. If they are genuinely going to forgive us, they’re going to have to put the hurt aside and open their heart up to us once again. Forgiveness is a powerful gift that all of us need! Who doesn’t need encouragement from time to time? All of us need to hear from someone we respect, Hey, you’re doing a great job! -from time to time. The gift of encouragement means that somebody you respect has been watching you. He or she has identified the things that you’re doing well. A simple word of encouragement means that someone has identified your hard work. Encouragement is a small gift that goes a long way! No one can purchase more time. All of us have a limited amount of time. How we “spend” that time is incredibly important. Therefore, when you give somebody the gift of time, you’re giving somebody a very valuable commodity. You can’t manufacture more time; nor can I! If a friend or family member gives me dedicated time, they’re letting me know that I am important to them. The gift of time could be as simple as taking your grandson on the lake fishing with you. It may be as easy as bringing your daughter into the kitchen and having a heart-to-heart conversation while preparing a meal. When you have deep feelings for someone, you will want to give them the gift of time. Your time is a valuable commodity. “Spend” it wisely this Christmas season! We live in an attention deficit culture. It’s very hard for anyone to slow down and focus on one person or one thing at a time anymore. Look at people in the shopping malls or on the street corners; their texting and working and shopping on their phones all at the same time while they’re trying to cross a busy intersection. We live in a day where it is really rare to get dedicated, focused attention from anyone. You can’t wrap this gift up and put it in a box. This is what makes the gift of your attention so special. When you turn off the TV and give a loved one your dedicated attention, you’re saying to them- “You’re important to me.” Do you have a friendship or a relationship that needs some focused attention? This gift is becoming exceedingly rare. Give it generously as you have the opportunity. I saved the best for last. The final gift is probably the most important gift anyone could ever give. At the same time, this gift is absolutely free! When you love someone, you will be willing to give them your attention, your time, your forgiveness when they mess up, and encouragement when they do well. Love is able to endure anything, according to 1 Corinthians 13:7. There is no need to take this list to the shopping mall this week. These are gifts you can give anyone any day! Even though these gifts are free and don’t come wrapped in a box, they are incredibly valuable. These gifts are special because they cost the giver something. But they are also special because they represent the greatest gift ever given to mankind. I’m specifically referring to the gift of God’s love. While we were at our worst, while we were in rebellion against God, while we were still in our sins – God gave us the gift of love (Romans 5:8). He focused his attention on us and sent his son, Jesus, to purchase forgiveness for us (Matthew 26:28). He sent his Holy Spirit to encourage us (Romans 15:5) and is preparing a place for us to spend eternity with him (John 14:3). These are the greatest gifts because they represent the character of God. These are some of the greatest gifts you will ever receive because these are the kind of gifts that God gives. Try giving a free gift this Christmas. Give someone the gift of yourself!